We are very proud of the numerous testimonials we have received from our customers all around the country. Thank you so much for your help and reassurance. The flowers were received in excellent condition despite it being the hottest day of the year so far. I got so many plaudits from guests for the beauty of the arrangements but really all the praise was due to the quality, beauty and quantity of the blooms and very little to my artistic skill. Thank you again. When I can find another occasion to do the flowers for I will certainly be back. The flowers are here 🙂 thank you so much they look super quality. Just a quick one to let you know all the flowers were received on board. Thank you very much for your excellent service – everybody was very happy with the flowers – they look great! Flowers arrived and were beautiful. You’d also perfectly judged the numbers of flowers I needed for what I wanted to do. I think I finished the last arrangement with one carnation, a small section of crysanth and a few pieces of gypsophola to spare. I just wanted to thank you both so much for the help you gave us in delivering the flowers for my son’s wedding. They arrived bang on time and in fantastically good condition. Everyone commented on them and would you believe the church used them for 2 more weddings and harvest festival!!! It makes our life so much easier to use you and have confidence in your flowers. We don’t have any more family weddings planned for the moment so I don’t know when we will be in touch again but rest assured we will certainly use your service again. This is just an Email to say a huge thank you for the flowers you supplied me for my godsons wedding. They were beautiful and more importantly the bride loved them. You were very helpful and if I ever need flowers in bulk again I will always come to you and will recommend you to any one else that needs flowers. Flowers arrived before 9am this morning – the hydrangeas in particular are stunning – so pleased! I just wanted to thank you for ‘saving the day’ at my daughter’s wedding. As you may remember we got let down at the last minute by our local wholesale florist one week before the wedding. We thought we would never find a replacement at that stage but we found you on the internet and spoke to Sally. Not only could she provide exactly what we wanted, she gave us extremely patient advice as to what to order and the quantity we needed. The flowers arrived beautifully fresh early on the specified day. They were so fresh that they were still in vases in our house two weeks later and were still decorating the church for the next week’s service. I have given your details to our church as I thought they might be interested in your prices and delivery. Just to say a big thank you for all your help with our order, the flowers were brilliant and were great to work with, thank you. I have given your details to a couple of people in this area (Guildford), one of whom does ‘events’. So thanks for such great customer service (you were so helpful and quick to respond on email), such great quality flowers, and I’ll be recommending you to any friends who are getting married and are doing their own flowers! Thank you both for all your help with my recent order. The flowers all arrived early Wednesday morning. Most impressed by the condition of the flowers and the way they were packed. Just to say all went well & I survived!! The flowers were wonderful (as always) & many superb comments have been forthcoming. Again so many thanks to you and your team. The flowers were absolutely glorious and made the most amazing bouquets for myself and the bridesmaids. We had a lovely day yesterday and the tulips were much admired (photos attached.) Thank you very much for all your help!! thank you so much for our your help and guidance and supplying flowers that were everything I had dreamed they would be. I would just like to thank you for the lovely flowers for our wedding on the 30th April they were gorgeous i have attached a couple of pictures of how they were put to use, everyone was saying how lovely they were. looked simply stunning with the delicate spray and bold avalanche roses. glass vase of the flowers home! imagined!! We will recommend you to any other DIY flower designers! thank you so much for providing the flowers for our wedding day, they are not quite how I imagined them..they were a million times better! You would not believe how many compliments we received about the flowers. Also thank you for our card, it was so lovely of you. Again, thank you so much, I would not hesitate to recommend Nursery Fresh to anyone. all of them and can’t wait to see the bouquets. care and thought you have shown us in this process. Many thanks! Just to say a Big Thank You. them. Love the Germini colour. fresh flowers again and have no hesitations recommending you. The flowers I ordered and arrived today were beautiful and very fresh and smell beautiful .See you in Salisbury. I just wanted to say a huge thank you for all the help you gave Zoe and I with the flowers for her wedding on 30th April. Everything was just perfect, the flowers looked amazing especially the candle cups in the candelabra at the dinner. I had a great team of helpers and the pedestals were stunning too. You were so patient with all our changes of mind and sudden extra orders, but it was all worth it, for a day to remember. I will forward some photos when they arrive. Just to say thank you very much for the flowers that arrived last Thursday and for your great service. They were all received in lovely condition and made fantastic bouquets and table centres. I’ll let you know when the next one is! We will send if the cheque straight away. If we could pick them up on the Friday that would be great what time do you open? Thanks so much you have been a great help by far the best we have dealt with. Flowers arrived this morning 9am. All look fantastic can’t wait to start making them up. The peonies are stunning. Just to say the flowers arrived at 8.45am this morning and are beautiful, and once again many thanks for all your help. Think i`ve watched every bridal bouquet, buttonhole and corsage video on the internet so wish me luck !!! Many, many thanks for all your advice and help with the flowers for last Saturday’s wedding. Receiving the flowers on Thursday afternoon, in such beautiful condition, made up for all the weather worries during the previous week. The others involved with the church flowers were delighted to have lilies at just the right point of opening to work with and looking so beautiful. I can’t thank Sally enough for suggesting they would be better delivered with the other flowers coming to Salisbury and for cosseting them and making sure they would be fine. When our next big flower arranging event happens, I do hope that you will be able to help us again. Best wishes to you all for a very happy Christmas and a good New Year. Many thanks for your swift sending of flowers. They arrived in pristine condition, and had a lovely afternoon making up 5 table arrangements in the end, in tall vases as a surprise for a friend who is emigrating to Sydney. She had booked the venue but had no plans to decorate as such, so we all clubbed together to make it a bit prettier. She hasn’t seen it yet so hopes she likes! Thank you so much for pictures. Most useful. I must say you are so efficient. A pleasure to communicate with you. Flowers delivered and look amazing. The roses are gorgeous. I just hope I do them all justice. A whole week has gone by and I haven’t written to thank you for the safe receipt of my flowers for the Area Show. They arrived beautifully packed and in perfect condition and a week later are still going strong. I achieved a second in the Alhambra Class and was very pleased with the result. I am writing to thank you so very much for all your help and guidance with the selection of the flowers for my daughter’s wedding. We were absolutely delighted with the flowers that were delivered on the Friday before the wedding – they arrived in perfect condition. All the flowers were beautiful and they were so fresh and well packaged that they remained in perfect condition for over one week. Sally, we really appreciated your calmness and unflustered approach to the ordering and delivery of the flowers. It obviously helps that you are working with a wonderful product, but your enthusiasm for your work is a joy to see. Thank you once again for your assistance with our requirement, and we wish you and Nursery Fresh every success for the future. Would just like to thank you for my order which i placed yesterday, the flowers arrived this morning at 9.05 am and are lovely. Thankyou very much for your help yesterday, I will certainly be using you for my sons wedding in Feburary. Look forward to placing my next order ! Thank you so much for your help, I will be back again for the next event I do. just a note to say how very pleased we were with our flower order! The delivery arrived as arranged. The flowers were safely packed with water and upright. They were beautifully fresh and we really enjoyed working with them to decorate our church. Absolutely top marks to Nursery Fresh Flowers! The flowers have arrived and they are beautiful, I can’t wait to do the bouquets. I shall certainly tell my flower arranging friends of your excellent flowers and service. Thank you for all your help. The sunflowers arrived this morning and they are fantastic, thank you so much. It’s been such a help to our wedding preparations to have been able to source and order the flowers so easily. I’ll definitely be recommending your company to my friends. I just wanted to drop you and the company a line to say thank you. The flowers arrived, beautifully packed and fresh. Thank you and your team for getting them out to us so promptly. We were lucky to find your website, and get the help and advice we needed to recover from being let down at the last minute. Not sure what we would have done without you! I am forwarding your details and price list to the local flower club, who were impressed too, and will recommend you wholeheartedly to any one else wanting or needing to do flowers themselves – a professional and high quality service. Dear Sally, All the flowers arrived when you said they would, packed so well they couldn’t move and they are still in good condition and looking beautiful. We had a wonderful day with lots of comments on the flowers. I’ve enclosed a couple of photos for you.We did 8 arrangements in all! Thank you, Anne. Just to let you know that the flowers arrived this morning. We are SO pleased with them and the girls are all excited about making the bouquets on Friday evening. Just to say thank you, the flowers arrived safely and lasted very well despite the extreme heat. They were also very reasonably priced so I was delighted. I am attaching a photo of one of the arrangements so you can see what became of your flowers. Thank you so much for all your help and advice in the weeks leading up to our flower festival, for allowing us to sort flowers in your premises and for delivering them early to Chidham ready for the flower arrangers. The flowers were just what we hoped for – lovely strong blooms that managed to cope with the incredible heat without wilting. Our flower festival was a success and I am so grateful for your major part in it. I just wanted to say a big thank you for all your help and support during the run up to our wedding day and for supplying such beautiful flowers. The flowers were perfect and created beautiful bouquets and table displays. Thank you once again for everything. The flowers really contributed to a wonderful day. much for all your help with the flowers I ordered from you. We were thrilled with them. There was not one poor bloom amongst them. They were top notch. The Lilies and Alstro were just right on the day and were still going strong last week. I wanted to send some photos but I have not got them yet but I will try to send one or two once someone sends me some. Just a note to say “thank you so much” for all your help with the flowers I ordered. After speaking to you yesterday they arrived within ten minutes. The quality of everything is superb. Hope I can do the flowers & foliage justice with my arrangement. Many thanks again. Everything from initial enquiry to delivery just excellent. Thank you, the flowers have arrived, they are in very good condition and the cost is less than I was expecting. The flowers were beautiful and everybody admired them at the wedding. The bride was over the moon that I was able to produce the rose Amnesia, it just added a little touch to everything. Just to say a BIG THANK YOU for your help and the lovely flowers we received for our flower festival “Morning Has Broken”. We were very pleased with the flowers and how long they are lasting, it is now over a fortnight since the first delivery and still they are looking in perfect condition. The roses and gerbera are still a big talking point. I just wanted to record my thanks for wonderful flowers I collected from you last thursday – you may just recall I was having to take all the flowers down to Devon, having already made up buttonholes, bouquet etc, before travelling in all that heat! 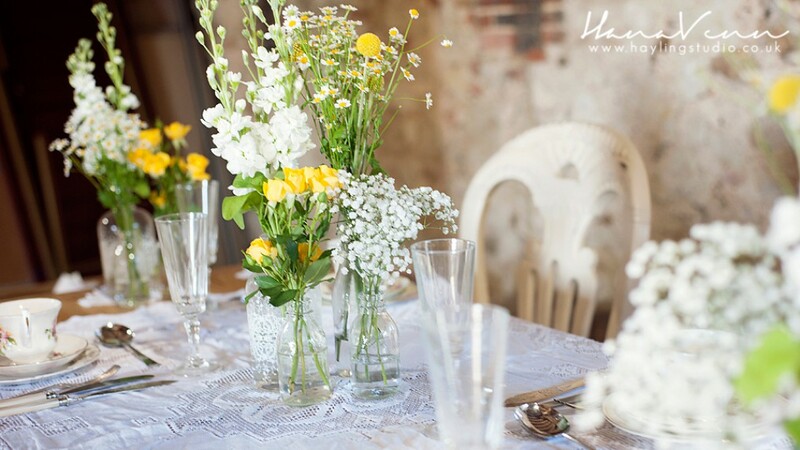 Well the flowers were so beautifully fresh that I needn’t have worried – everything arrived in immaculate condition and the bride could not have been more delighted. I was grateful for all your advice and the ‘Avalanche’ roses made the most perfect ‘tied bunch’ – they held their shape and were still just as good on Sunday having been tossed out of a window !!! Just to say thank you for your help with the flowers: I realise it was a much smaller order compared with others you deal with, but your attention was greatly appreciated. He flowers were lovely and they were appreciated and admired by all. Thank you so much for the lovely flowers you sent for the wedding. The lilies opened out to perfection and the colours blended perfectly. Thank you for all your patience and advice. I shall be certainly recommending Nursery Fresh as a supplier of high quality flowers. Thank you for the beautiful flowers I ordered and you sent, they were wonderful..I am sure St Mary’s School will be delighted. I just thought I’d let you know I came in today to get some ideas and inspiration. The staff were extremely helpful and knowledgeable. The day before Christmas Eve you delivered our order for St Laurence Catholic Church Petersfield. We would like to express our sincere thanks. Not only did you deliver during difficult weather conditions, for which we were most grateful, but the flowers were of the highest quality and their longevity has been magnificent……….Our warm thanks again& we will be visiting later to place our Easter order. Thank you for the prices too, that helps immensely. I will get my amounts together and will contact you nearer the time but at least I have a starting point. I wil probably pop in so I can decide exactly what I want from whatever you have to offer and place the order.